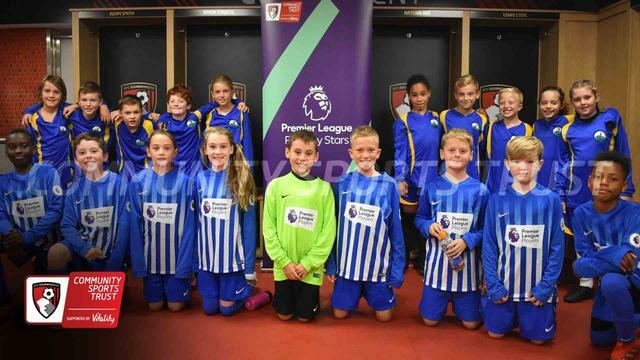 10 lucky children from Year 5 were chosen to represent the school on an afternoon trip to AFC Bournemouth's Vitality Stadium. After a tour of the stadium, the children were coached by AFCB coaches and then played matches against another local school (St Mary's, who are also in the photo). The 10 children had an amazing afternoon and look forward to the AFCB coaches returning to our school every Wednesday until half term.